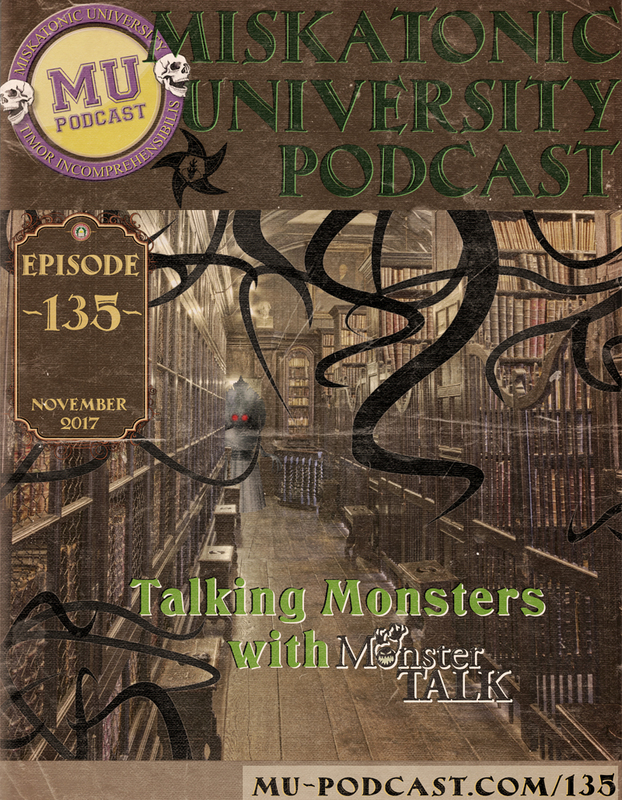 In this episode, Dan, Jon and Chad talk with guest Blake Smith from the Monster Talk Podcast! We talk about cryptids as well as other monsters and Forteana. This episode was recorded on November 20, 2017. Carl Ford, editor of the 80s fanzine DAGON, has died. Read this excellent post with some backstory on the magazine here. Extra Life update: The New England Gamers Extra Life team wants to thank all of its many supporters and sponsors for their help in raising over $7,000 in 2017 to support the Children’s Miracle Network Hospitals. Gamers participated in fundraising events at multiple conventions, including an exciting multi-Keeper event at NecronomiCon. At the 24-hour Twitch-streamed gaming marathon, over $1,800 in donations came in from around the world. Donors won 49 prizes valued at over $1000 total from our wonderful sponsors: Frog God Games, Kobold Press, Chaosium, Gallant Knight Games, Pacesetter Games, Squamous Studios, and the H. P. Lovecraft Historical Society. In addition, Frog God Games is providing $945 in matching PDFs for donations of $50 and up. Blake has dropped Part 1 of a multi-part look at grimoires with the guest, Jerry Drake, who Blake says is probably as close to a Lovecraftian protagonist as he’s met in real life. Blake has been published in Fortean Times, Weird Tales, Skeptic and Skeptical Inquirer. He’s working on a book now called The Invention Fallacy which is about how technology works, ancient aliens and why people don’t understand Innovation. Links to sites that allow newspaper article creation for gaming. Blake mentions The Beyond as a great Lovecraftian film (Trailer). The H.P. Lovecraft Historical Society – The Whisperer in Darkness. Discuss this episode on the Campus Forum.